Bicycle Accident in Brooklyn: What Should I do? Were you in a bicycle accident in Brooklyn, or the greater New York area? Were you left with injuries or property damage at the expense of someone’s recklessness? If so, and you were not the cause of the bicycle accident, then you should learn more about the attorneys at Pulvers, Pulvers & Thompson. Our bicycle accident specialists will provide you with all of the information you will need to know how to handle the situation and be repaid for the damage that was inflicted onto you. Never the leave the scene of the bicycle accident! Even if you feel perfectly fine or the driver promised you a financial help or he/she simply apologizes, you have to wait for the police and medical services to arrive. It’s important for the authorities to take in account a negligent driver. Maybe he/she has caused another accident before and got away with a simple apology –it is likely they will repeat this experience with another bicyclist. If you choose to simply ignore the bicycle accident then you will be a part of this cycle. Naturally, you can forget about the accident if it didn’t result in even a scratch, but from our experience, these type of accidents cause serious damages, even if they weren’t visible at first sight. 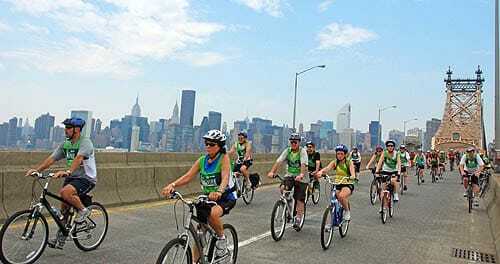 In 2011, the state of New York reported that their were over 6,000 bicycle accidents and 57 of them resulted in death. There is no point in risking your life. If you were in a bicycle accident you deserve to be protected. You may feel headaches, or any other type of pain, since these are the most common symptoms caused by a bicycle accident crash with a car. Try to write down every piece of information you notice at that moment: the license plate number of the car, the name of the driver or at least his/her general features, if there were witnesses and some details about them. As time elapses, you will tend to forget these details, it’s better to have them written down for later reference. It is wise to talk to your personal injury attorney immediately after an accident. They will consult with you and guide you through this difficult process offering the best steps to being compensated for your hardships. One of the personal injury attorneysat Pulvers, Pulvers & Thompson will advise you throughout this entire process. There is no point in waiting for your free consultation in the event of a Bicycle Accident in Brooklyn, or one of the surrounding New York Burroughs.